He may not glow in the dark, but he is still amazing in many other ways. 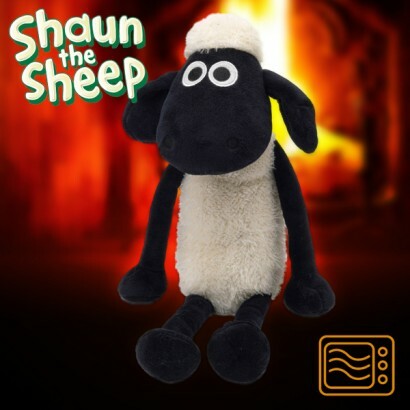 Super soft and super cute, all gangly limbed and wide eyed, this Shaun the Sheep is far more than just a soft toy. Place him in the microwave for two minutes and he becomes one big, lavender scented, warming hug that both kids and adults alike will love snuggling with on those cold winter evenings.